Just finished renovating but still can’t sit down? Run out of enthusiasm for the finishing touches? See the full potential of your latest building work with the help of a company that offers cleaning services in Smyrna. Renovation projects can be long and drawn out, with the result being a severe lack of enthusiasm when it comes to the final clean. Don’t let a thin layer of dust stop you from crossing the finish line. Follow a few simple steps and you’ll still have the energy left to host your unveiling party. Before you really get down to after builders cleaning take a really good look around. Make sure all the details have been finished and all edges trimmed and sanded down. You don’t want to be looking around in a few days only to spot a tiny little area you completely forgot to finish. Having smooth edges means your cleaning program can get under way. You’ll be surprised how much dust settles on a vertical wall. It seems that when you’re renovating them, the walls take on a whole new life. They become sticky and quickly attract any floating dust or debris and you can’t really stop it by covering it over. That really won’t work. A damp cloth will be more than sufficient but if you’re faced with a layer that just won’t shift, buy yourself a cleaning detergent but make sure it’s not too strong. After you’ve cleaned the walls it’s time to let the dust settle and then vacuum the floors. The professional after builder cleaners would always recommend using protective coverings when decorating or renovating but even if you used them, there will still be a thin layer of dust that’s got underneath. The vacuum cleaner will also do a good job at spreading any escapees but it’ll do a good job at collecting larger particles of dust and debris. 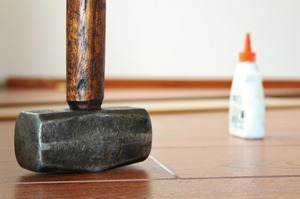 For a hardwood floor, you’ll need to wash it after you’ve vacuumed. Wash with a mop and bucket of clean water and then go back over it a few more times. Finish by wiping it with a clean cloth. Now’s the time to sit back for a few hours or even wait till the next day. Go back and check how well you did and if necessary repeat the steps again. Cleaning Smyrna will come and do the hard work for you if you’d rather go and do something more interesting instead. Their rates won’t break the bank and you’ll be left with a professional finish, in keeping with the excellent work completed for your restoration or updating building project.